DES MOINES, Iowa -- Jackpot! At least one lucky person in California had all the winning numbers drawn on Saturday's Powerball drawing, lottery officials said. The jackpot reached an estimated $447.8 million grand prize. The winning numbers were 20, 26, 32, 38, 58 and the Powerball was 3. It was not immediately clear if the California player was the sole grand prize winner or if other players also matched all the winning numbers. The massive jackpot is the seventh in the list of the largest awarded US lottery prizes of all time -- a list that includes Mega Millions and Powerball winnings, the U.S.'s two largest games. Saturday night's total surpasses the $435 million a jackpot claimed by someone in Indiana in February. That winner used a corporation to shield his or her identity. If it seems like huge Powerball jackpots have become more common, that's because they have. Saturday's $447.8 million prize means that six of the 10 largest Powerball jackpots ever have happened since the start of 2016. The reason: Powerball changed its formula in October 2015 to give players more numbers to choose from. And more numbers mean longer odds of a winner. The odds of winning Powerball are now 1 in 292 million, or 0.0000003%. 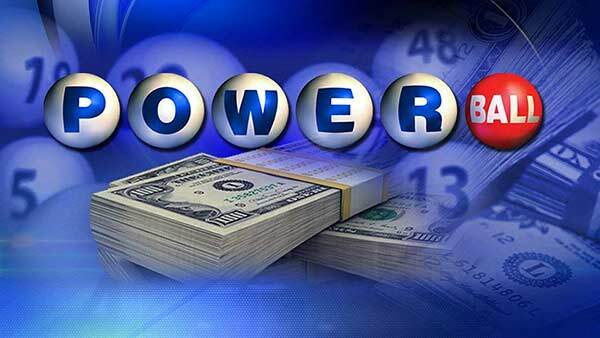 Before the switch, the Powerball odds were 1 in 175 million. With fewer winners, the jackpot has the chance to grow bigger week after week. The biggest jackpot ever took place in January 2016, soon after the odds changed. That payout reached a record $1.6 billion -- the one and only time it has crossed the billion dollar mark. The Powerball prize also climbed above $400 million in May, July and November of last year, in addition to the $435 prize in February. Meanwhile, the Mega Millions game, which costs half as much to play, has only had four jackpots in its history that topped $400 million. Only one of those big payouts, a $536 million jackpot, came last year. The odds against winning Mega Millions are 1 in 259 million. Of course, the size of those jackpots are inflated. They assume the winner takes annuity payments spread out over 29 years. But virtually every jackpot winner chooses to take a smaller, lump sum payment up front. The lump sum value of Saturday's $447.8 million jackpot could be close to $300 million. And of course, no matter how the winners or winner decide to accept their earnings, they'll have an enormous tax bill. Powerball and Mega Millions are now available in 44 states. All of them say that the profits provide billions in funding to schools and other social programs. But many economists argue that it's a regressive tax, since poor and working class individuals spend a much larger percentage of their money on lottery tickets than wealthier consumers. Americans spent $73 billion on lottery tickets in 2015, the most recent year for which data is available. That's more than they spent on music, movies, books, video games and sports tickets, combined.